Succession planning is seen as crucial to ensuring that a successor is in place to carry on the work of key individuals in a business should they leave the company in either a planned manner (e.g. retirement, job move, generational succession, or ownership changes) or an unplanned manner (e.g. fatal accident, unplanned removal from post). Sometimes the immediate successor is seen as a safe pair of hands, ready and waiting to carry on the work pending the appointment of another individual, whilst at other times there has been more time to search for a successor. Investors are keen to know that a succession plan is in place for key directors to help ensure the ongoing smooth running of the business, its strategy going forward, and to maintain a steady steer at the helm, thus retaining investor and market confidence. The successor may also be appointed for their new ideas on strategy, whether that is to take the business forward into new spheres or to concentrate more on a few core sectors which may be more appropriate for the company at that time. 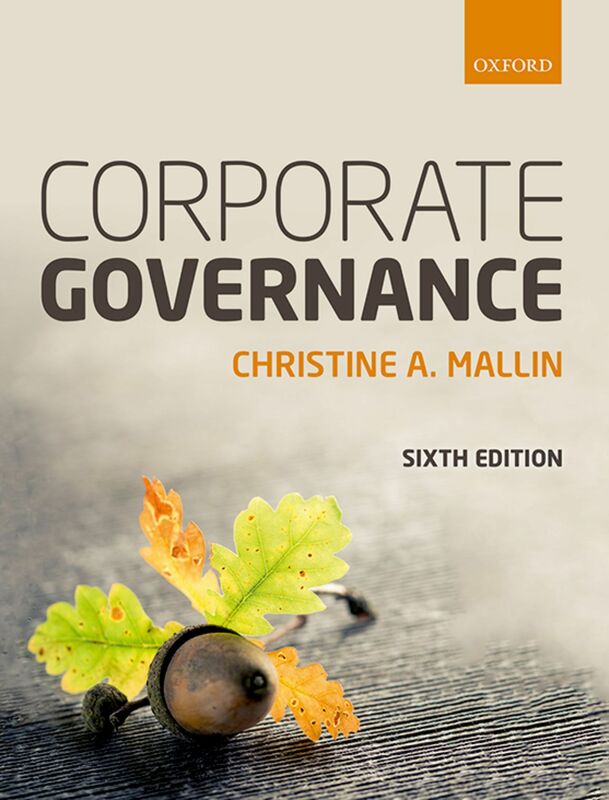 Corporate governance codes mention succession planning in different degrees of detail. Looking at a few of these, the UK, Japan, and Italy, illustrates this. For many family firms – large and small – succession planning is a real issue when either the next generation doesn’t want to take on the mantle of the founder, or there is no obvious successor. Leo Lewis in his article ‘New prescription’ about Takeuchi Optical, a Japanese glasses manufacturer, highlights that ‘thousands of family-owned businesses in Japan face uncertain futures due to a lack of heirs,’ (Financial Times, 5th April 2018, page 9). Whilst Japan has a rapidly ageing society, similarly, other countries also face succession planning issues. In South Korea, for example, Lee Jae-yong, vice-Chairman of Samsung Electronics and grandson of the group’s founder, was arrested in February 2017 on charges relating to bribery and corruption connected to a nationwide political scandal. Lee Jae-yong was convicted and sentenced to five years in prison on corruption charges. However in February 2018, he was freed on appeal with his original sentence being halved and suspended for four years. In April 2018, Samsung Electronics announced that it would split the roles of CEO and Chair but there will continue to be three co-CEOs with ultimate power still residing with Lee Jae-yong as vice-chairman. However Elliott Management, the activist institutional hedge fund, is seeking a change in the company’s corporate governance to limit the power of the family successor in waiting, Lee Jae-yong. Why did Yum China announce its Chairmen and CEO succession plans well in advance? Should all listed companies be required to declare their Chairmen and CEO succession plans? Kentucky-based Yum Brands Inc., owners of KRC (Kentucky Fried Chicken, Taco-Bell. and Pizza Hut brands), opened its first restaurant in China in 1987. By the time their Chinese operations were spun off, on 31 October 2016 to Yum China Holdings Inc., it had become China’s largest restaurant chain. Yum China owned the franchise for Pizza Hut in China with more than 1,500 restaurants in over 400 cities; and the franchise for KFC, with over 5,000 outlets in nearly 1,000 towns and cities. Taco Bell operations were also starting. Primavera Capital Group, a China-based global investment firm, made a strategic investment in Yum China and the company was then listed on the New York Stock Exchange (YUMC) in November 2016. Yum China Holdings Inc. is registered in Louisville Kentucky with headquarters in Shanghai. ‘Our brands are integrated into popular culture and consumers’ daily lives. We are dedicated to serving our customers’ evolving needs by enhancing the in-store experience, improving mobile connectivity, introducing innovative new products, and constantly delivering value. We also remain focused on driving shareholder value by growing sales and profits across our portfolio of brands through increased brand relevance, new store development and enhanced unit economics. With a rapidly growing consumer class and increasing urbanization, Yum China is well positioned for long-term growth’. The board has nine members, seven of them independent according to the company. Peter A. Bassi served as president then chairman of Yum! International Restaurants. Prior to this, Mr. Bassi spent 25 years in a wide range of financial and general management positions at PepsiCo, Inc., Pepsi-Cola International, Pizza Hut (U.S. and International), Frito-Lay and Taco Bell. Christian L. Campbell is currently owner of Christian L. Campbell Consulting LLC, specializing in global corporate governance and compliance. Mr. Campbell previously served as senior vice-president, general counsel and secretary of Yum Brands from its formation in 1997 until his retirement in February 2016. Ed Chan Yiu-Cheong is currently a vice-chairman of Charoen Pokphand Group Company Limited and has been an executive director and vice-chairman of CP Lotus Corporation since April 2012. Mr. Chan was regional director of North Asia of the Dairy Farm Group. Edouard Ettedgui currently serves as the non-executive chairman of Alliance Française, Hong Kong. Mr. Ettedgui also currently serves as a non-executive director of Mandarin Oriental International Limited, the company for which he was the group chief executive. Prior to that, Mr. Ettedgui was the chief financial officer for Dairy Farm International Holdings. Louis T. Hsieh currently serves as a senior adviser to the chief executive officer and as a director of New Oriental Education & Technology Group. Jonathan S. Linen is a member of the board of directors of Yum! Brands, a position he has held since 2005, and of Modern Bank, N.A. Mr. Linen is advisor to the chairman of American Express Company after serving as the vice-chairman of American Express Company. Mr. Linen also served on the board of The Intercontinental Hotels Group. Micky Pant is the chief executive officer of Yum China. Mr. Pant has served as chief executive officer of Yum! Restaurants China since August 2015. Over the past decade, Mr. Pant has held a number of leadership positions at Yum! Brands, including chief executive officer of the KFC Division, chief executive officer of Yum! Restaurants International and president of Global Branding for Yum! Brands and President of Taco Bell International. Zili Shao has served as co-chairman of King & Wood Mallesons – China. Mr. Shao held various positions with JPMorgan Chase & Co., including chairman and chief executive officer of JPMorgan China, vice-chairman of JPMorgan Asia Pacific and chairman of JPMorgan Chase Bank (China) Company Limited. On 5th October 2017, Yum China announced that its Chief Executive Officer, Mr. Micky Pant, would become Vice-Chairman of the board and Senior Advisor to the company on 1st March 2018. Ms. Joey Wat, who currently serves as President and Chief Operating Officer, would succeed Mr. Pant as Chief Executive Officer. The company explained that Mr. Pant had served as CEO and a member of the Board of Yum China since its spin-off from Yum! Brands, Inc. and, prior to that, he served as CEO of Yum! Restaurants (China), when it was a division of Yum Brands Inc.
“Joey is an extraordinarily talented executive and the ideal leader to become our next CEO,” Dr. Hu continued. “Joey has a strong track record of achieving results, and with her unique ability to translate vision and strategy into future world-class operations, I have no doubt that the Yum China business will continue to grow under her strong leadership. Ms. Wat spent seven years in management consulting, including time with McKinsey & Company’s Hong Kong office. From 2004 to 2014, she served in both management and strategy positions in the Hong Kong-based Hutchison Whampoa group, including time as Managing Director of their UK company, which operates the pharmacy chain Superdrug. Ms. Wat joined Yum China in September 2014, first as President of KFC China and then as Chief Executive Officer of KFC China in August 2015. She has been the President and Chief Operating Officer of Yum China since February 2017 and was appointed as a member of the Board in July 2017.